Hope you all had a wonderful weekend! 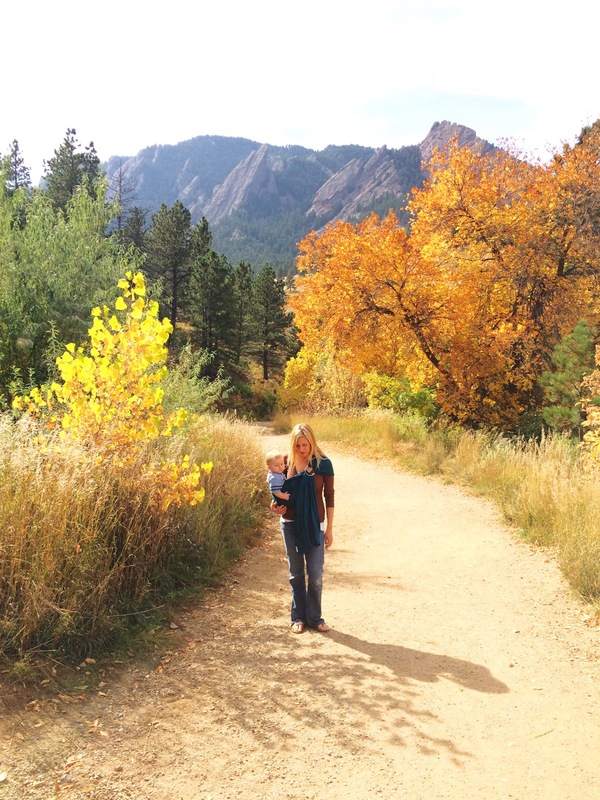 Ours was rough with a teething boy, but we managed to sneak away to Boulder for a short “hike” & some gorgeous fall color. “That’s why Jennifer Garner made headline news in HuffPost Women this week. Finally!, women collectively cried, here is a woman who recognizes that having a baby means you might always have a baby bump. And that bump is something to be celebrated as much as the birth of your child–it’s where that life started and was nourished for nearly 10 months. My favorite college professor once described love as leaving room enough for others to grow. That bump is physical evidence of the body’s love; when we become pregnant, every cell in our body makes room. It’s about time we make some room in our psyche for ourselves too. Whether you struggle to keep on weight while nursing your child post-partum, struggle to heal and loose weight after an unplanned c-section, struggle to find time for some semblance of your old fitness routine in between work and raising a family, you are worth a better story. And I am too. Next post10 Ways Running A Marathon is Like Motherhood. First of all, what a beautiful picture. Second, I loved that Jennifer Garner interview on Ellen so so much. Third, I am headed over to read the rest of this post!